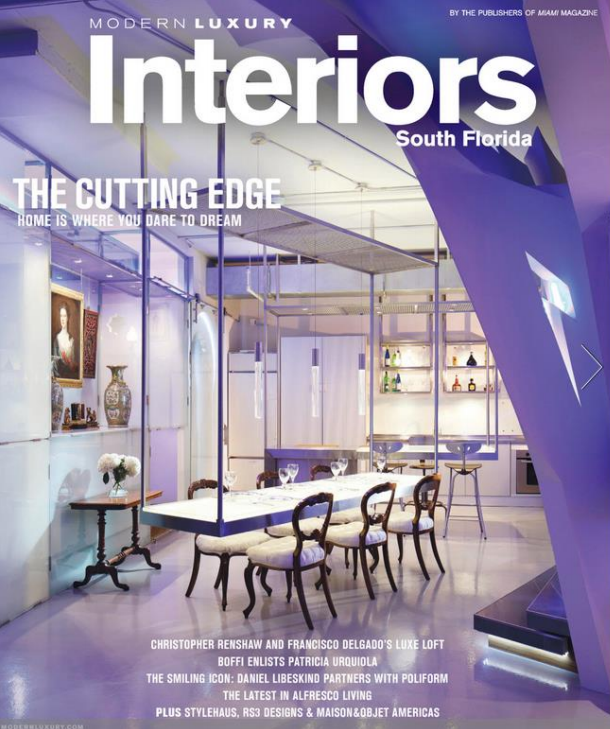 The Annual Developers Showcase With the Magic City’s skyline in the headlines daily, Modern Luxury Interiors South Florida and Poltrene Frau brought the best of the real estate business to their showroom. During the Annual Developers Showcase, Miami’s top properties showed off their luxury amenities like rooftop soccer fields by Paramount Miami World Center or scenic ocean views by The Ritz-Carlton Residences, Miami Beach. Other participating properties included 1 Hotel & Homes, Auberge Beach Residences and Spa Fort Lauderdale, TOWN Residential, Paraiso Bay, Brickell Flatiron, NINE at Mary Brickell Village and IRIS on the Bay. When guests weren’t enjoying the sounds of DJ Saint Chill, they enjoyed bites prepared in Poltrene Frau’s new luxury kitchen and sipped Lucky Buddha Beer, ZIOBAFFA pinot grigio, Mandarine Napaleen and Reyka Vodka. To end the evening in style, Kitty Carmichael serenaded the crowd on the balcony over looking the design district.